Lose your accent! 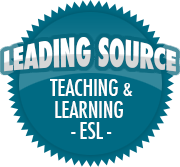 English “L” | So, You Think You Can Teach ESL? You can sound like a native. This video demonstrates the different pronunciation of dark and light “L” in different contexts, using multiple examples. Even though speaking with a foreign accent seems like a normal state, you can learn how to make the sounds that sound easy in the mouths of natives. This video series increases your awareness of all the parts of your mouth you use for speaking. A language never felt so good!